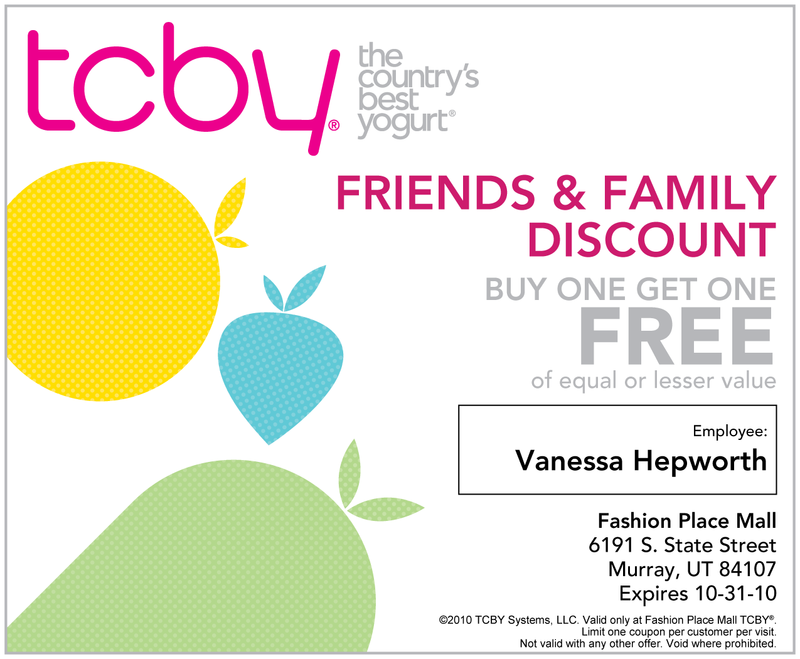 There is a new HUGE TCBY opening in Fashion Place mall! 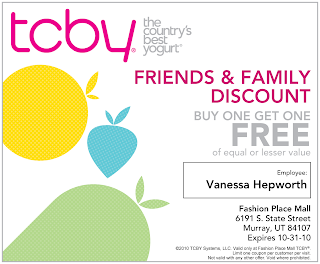 Click on the picture and print to get a BOGO FREE coupon! You can print and use as much as you want but only once per visit. Coupon is good now until October 31st.